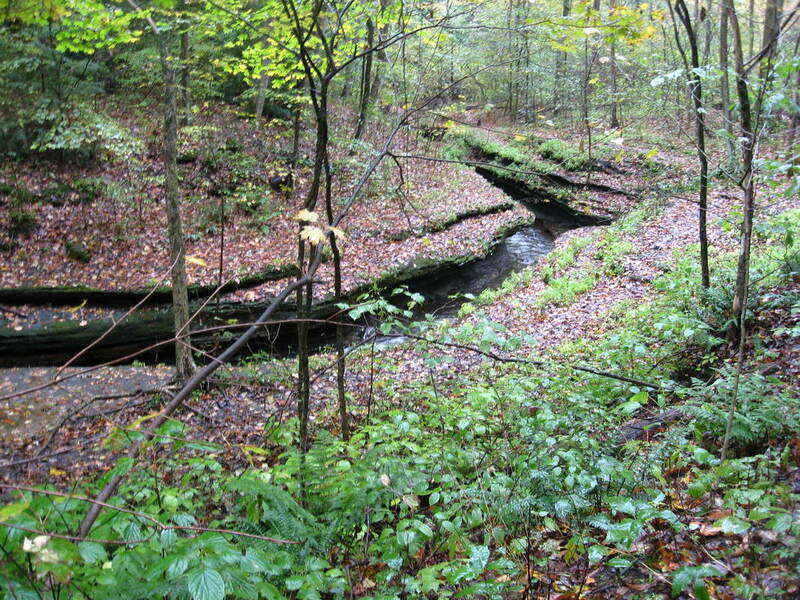 ​Hike the entire Laurel Highlands Hiking Trail with the Keystone Trails Association! Take advantage of this incredible opportunity, to complete in just 6 days the trail that is one of the most celebrated Pennsylvania hiking trails for its varied terrain and wondrous beauty. Don’t worry about the plans, the maps, your breakfasts or lunches, where you’re going to stay, or your heavy pack. The KTA Slackpack Program takes care of all that. Hike leaders shuttle you and the rest of the small group to the trailhead in the morning, pick you up at the end of the day, and lead or sweep the group along the trail. Lodging is provided at Cobblestone Inn and Suites, Connellsville, where breakfasts and lunches are provided for the group, dinner is on your own – as expensive or inexpensive as you’d like. All you have to carry is a day-pack! In 6 days of hiking, you’ll have checked the LHHT off your list, made friends, and maybe even shaved off some waistline. The Laurel Highlands Hiking Trail runs from Ohiopyle State Park to the Laurel Ridge State Park meeting the 1,000-foot Conemaugh Gorge near Johnstown. It traverses state parks, forests, game lands, preserves and other public and private lands. The Ohiopyle State Park and the Laurel Highlands Hiking Trail are open year-round, and visited by over one million people every year. But with almost 20,500 acres of natural beauty and scenic vistas throughout the park, you'll find it as peaceful as it is beautiful. The Laurel Highlands Hiking Trail is blazed approximately every 100 feet with 2-inch and 5-inch yellow blazes. Connector trails lead to and from parking and shelter areas and are marked with blue blazes. Mileage monuments are every mile. Join us on May 3rd, and get the whole trail under your belt in 6 days, without pitching a tent. Note: for a group this size, meal times are flexible to better suit the participants. Depart for hike at 1:00 PM – plan to arrive at Cobblestone Inn and Suites, Connellsville, PA with enough time to eat lunch if you need it (not included), change if you need to, etc. Everyone will gather in the lobby. Commence a hike of 7.6 miles, Rt. 653 – Maple Summit Road. Return from hike and go for dinner (on your own). Hike: 11.8 miles, Rt. 653 – Rt 31. Hike: 15.2 miles, Rt. 31 – Rt.30. Say good-bye and thanks for a great hike! The registration fee is $629 per person. PayPal below, or mail in the completed REGISTRATION FORM with payment to the KTA office. Registrations must be received by April 12, 2019. No refunds will be issued after this date. Questions? Contact the Program Administrator, Cameron Elo, at ktaadmin@kta-hike.org.